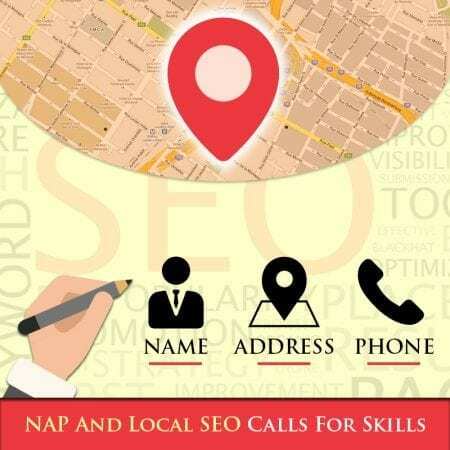 Sometimes it’s almost useless advising webmasters and marketers to realize the value of local SEO and the application of your NAPs (Name Address Phone) within your content and in your promotion. People are missing out on major opportunities because they can’t think in and outside of the box. We’re going to look at a few strategies that should get your statistics up and your presence within your area more noteworthy. Brick and mortar stores are dwindling thanks to the expansion of web shopping and delivery. This means for a brick and mortar store to survive it has to compete with companies that may be able to offer more discounts or bargains. It doesn’t mean you’re headed for defeat, it means you’ll need to adapt and innovate along the way. Tried and true application is fine but in some cases you’re going to have to think on your feet and work outside the common parameters. This means being observant not only of search engine trends, but your own competitor’s efforts, your industry’s trends and more. When you stay on your toes you’ll be quick enough to make good use of any positive headway from your efforts. With local SEO it is about exploiting your location to draw in surfers and snag up the customers. It means knowing the value of the region you live in and its inhabitants. You’ll need to do some science here and good old fashioned homework to keep ahead. Your competitors are going to sell their brand and then use their location as a subtext. That’s the tried and true method but you can do more. Don’t always say ‘Joe’s Hardware, 123 Street, Worktown, Pennsylvania’, instead make sure you can add something that the surfers are looking for. Some adjectives can come into play here and the more colorful the better. Of course you’ll be battling for keyphrases like, ‘The best hardware store in Worktown, Pennsylvania’ and that will be a good keyphrases to have, but you can add the strawberries and whipped cream of creative content by attaching local things to your pitch. An example would be, ‘The best hardware store in Worktown, Pennsylvania that you’ll ever visit near Worktown Carnival Park’. Well, the Carnival Park might not have any hardware goods, but it is the hottest local spot and gets lots of attention online. Now, when people are searching for that term, they may well bump into any of your content with that similar data. It may or may not convert into a sale right away but at the least you’ve embedded a note to them that they’ll remember when the time for hardware goods are needed. See, you’ve killed two or three birds with one blow using a strategy like this and you should apply it to each of your webpages and any other social media you can get your hands on. You can use variations of your NAPs too so that they’re all covered. Make sure any directory of local interest has your local info wherever it is pertinent to apply. As you do this, your company’s brand name will appear in a variety of locale based. Post to blogs from local people. Comment and share their content too. People will see you as the friendly go-to person regarding your business. Invite locals to a showcase where you exhibit techniques and new products. Coffee and wine parties always work. If you have people who use your business for the arts then you should showcase the customers who do. They always love attention and promotion and they’ll boast they’ve made your top 10 list and won an award you’ve dished out. Companies like I SEO U know all this and more. They’ll brew up their creative minds along with yours to come up with local SEO campaigns that will have the competition drooling. They’ve been around for years and they aim to get you where you need to be.